The first ice sculpture festival in Bulgaria will take place in Sofia – in front of the VIVACOM Art Hall. 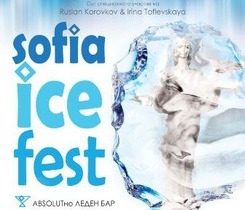 Sofia ICE Fest starts on January 31, the organizers announced. Sculptures and ice figures of crystal clear ice will be exhibited for a week in the centre of the capital city. The Ice Festival figures are made by the sculptures Ruslan Korovkov and Irina Taflevskaya. A special ice bar, made entirely of huge ice blocks will welcome the visitors of the fest. One can enjoy the drinks served in ice glasses sitting on crystal ice sofas and bar stools. The festival program features special workshops, games and presentations for the children. DJ parties are scheduled for every day of the festival. They will start at 7pm.